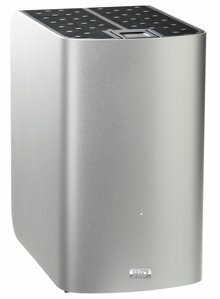 Western Digital presents the My Book Thunderbolt Duo, a dual-drive storage system with Thunderbolt support. It offers RAID 0, 1 and JBOD options, and is available in 4TB and 6TB capacities for $599.99 and $699.99, respectively. Western Digital® (NYSE: WDC), the world's leader in external storage solutions, is now shipping its first external hard drive with Thunderbolt™ technology – the My Book® Thunderbolt™ Duo dual-drive storage system. The new My Book Thunderbolt Duo provides professionals and Mac® enthusiasts with five primary areas of performance, double-safe data protection and flexibility; ultra-fast data transfer rates for greater work efficiency; a 4 TB/6 TB large-capacity; customized dual-drive storage system with RAID 0, 1 and JBOD options; customer serviceable drives; and dual Thunderbolt ports for daisy-chaining multiple My Book Thunderbolt Duo devices or other peripherals. "The My Book Thunderbolt Duo offers large storage capacities for creative professionals and enthusiasts who produce, edit, or need quick access to large files, including HD video," said Jody Bradshaw, general manager of WD consumer storage solutions. "Its dual Thunderbolt ports provide amazing creative flexibility while allowing daisy-chaining of up to six My Book Thunderbolt Duo drives or other high performance peripherals for fast and efficient workflow. The combination of storage, backup, security, flexibility and speed makes the My Book Thunderbolt Duo the ideal choice for creative professionals who need to write, store, protect and edit high-definition and graphic intensive projects."